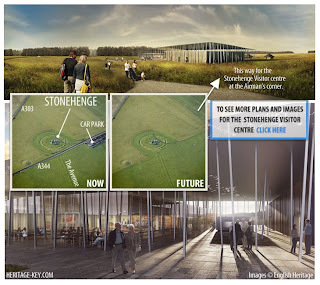 PLANS for the new £27.5million visitor centre and facilities at Stonehenge have been given the go ahead by Wiltshire Council. Despite concerns raised about increased congestion, the size of the new car park and transportation from the centre to the ancient monument, 12 out of 13 councillors on the council’s strategic planning committee voted to approve the scheme. The project involves building a new centre with a car park at Airman’s Corner, with a land train to take visitors to the stone circle. 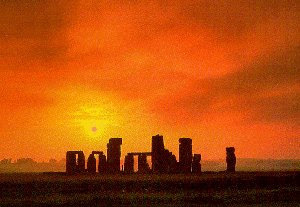 The existing visitor centre and parking will be removed and the A344 from Stonehenge to the A303 will be closed off and grassed over. Cars will be diverted to Longbarrow Roundabout and along the A360 to Airman’s Corner, where a new roundabout will be constructed. “There is no question that something is needed,” said Amesbury councillor Fred Westmoreland. “To me, this site makes sense. “Most of the objections which are being made are looking for a solution we are never going to get. This is the third planning application, or the fourth, and you will never get everyone to agree on everything. “If in five years or five months time we find the road system does not work, no problem, we can change the system. If we find the buildings themselves are not working particularly well, we can amend them. 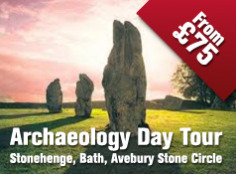 Loraine Knowles, Stonehenge project director for English Heritage, said: “This is an important step in returning Stonehenge to a more dignified setting and creating facilities more fitting for a world-renowned tourist attraction. * Councillors also approved an application to move the Airman’s Cross monument from its current position at the staggered junction into the visitor centre grounds, where it will be placed next to the path from the car park to the centre. English Heritage has welcomed yesterday's decision by Wiltshire Council's planning committee to approve plans for a new visitor centre for Stonehenge. Loraine Knowles, Stonehenge project director for English Heritage, said: "This is an important step in returning Stonehenge to a more dignified setting and creating facilities more fitting for a world-renowned tourist attraction. "We can now begin to look forward to providing a much improved, high quality experience for visitors at an environmentally sensitive development." With planning permission in place for the visitor centre, plans for the closure of the A344 adjacent to the Stones (from the A303 to Byway 12) will now be put forward for approval. At the same time, Wiltshire Council will be consulting on proposals to restrict motorised vehicles on the remaining part of the A344 and on nearby Byways. Following a lengthy consultation and extensive technical assessments, the Prime Minister announced on 13 May last year that Airman’s Corner would be the location for new Stonehenge visitor facilities. Together with proposals for the closure of the A344, the scheme will enhance the monument’s setting by removing the existing visitor facilities (including car parking) and improving the visitor experience with new exhibition and education facilities. A fully accessible transit system will run from the new visitor centre to a drop-off near the Stones. Airman’s Corner is about 1.5 miles (2.5km) west from Stonehenge, on the junction of the A344 and A360. It is at the edge of the World Heritage Site and is easily accessible by road. The land is currently used for farming, with very few residents living close to the site. 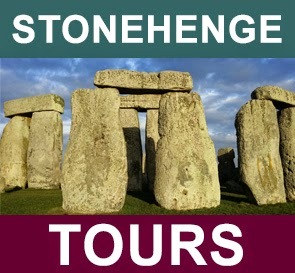 Stonehenge News - New Theory ?